How Does Cognitive Behavioral Therapy Work for Anxiety? 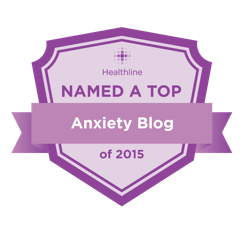 Home » Blog » How Does Cognitive Behavioral Therapy Work for Anxiety? Cognitive-Behavioral Therapy (CBT) has been dubbed the most effective treatment for anxiety disorders, for both children and adults. Let’s look at the reasons why, and also discuss how CBT works for anxiety. Let’s start with the basics of CBT. The CBT model suggests that dysfunctional cognitions (thoughts) are causally linked to emotional distress, and that correcting these dysfunctional cognitions results in improvement of emotional distress and interfering behaviors. In more simple terms, CBT’s goal is to change patterns of thinking and/or behavior that are behind people’s difficulties, and in doing so, change the way they feel. CBT works by shifting people’s outlooks, as well as their behavior, by focusing on the thoughts, beliefs or images that they hold and how this relates to the way they behave as a means to cope with emotional issues. The significant advantage of CBT is that it tends to be comparatively brief, administered in the form of 10-20 weekly sessions in one-hour time blocks. During this time, the client and the therapist are working together to understand what the issues are and how to develop a new strategy for handling them. The treatment consists of several distinct but interwoven treatment components. It introduces cognitive restructuring techniques and the exposure rationale. Specifically, clients work on identifying automatic negative thoughts, observing the correlation between anxious mood and automatic thoughts, exploring the errors of logic, and developing rational alternatives to their automatic thoughts. Clients also identify avoidance strategies they might have adopted along the way, and work to eliminate them as they expose themselves to anxiety-provoking situations. Behavioral experiments are used to confront specific reactions to exposure experiences. CBT originated in the 1960s, when psychiatrist Aaron T. Beck noticed his patients having an internal dialogue going on in their minds, even though they would only report a fraction of this thinking to him. He realized that the link between thoughts and feelings was very noteworthy, and he invented the term automatic thoughts to describe emotion-filled thoughts that occur only in the mind. Beck found that people weren’t always aware of this type of thoughts, but could learn to identify and describe them. Beck thought that recognizing these thoughts was the key to the client understanding and overcoming his difficulties. Naturally, CBT places a good deal of importance on negative thoughts. It’s based on a model or theory that it’s not events themselves that upset us, but the meanings we associate with them. And, if our thoughts are too negative, it can block us from doing things; meaning that we will continue to hold on to the same old thoughts and not do anything new. The anxious person reacts to situations with instinctive feelings rather than the reality. In CBT, cognitive strategies are geared towards changing anxious thoughts and self-talk into realistic and productive thoughts and self-talk. Children learn to identify thought patterns that are unrealistic and then to replace them with accurate thoughts. Children also learn to replace negative or danger-oriented talk with self-talk that emphasizes coping ability, decreases worry, boosts self-confidence, and reinforces effort and success. Kids can also learn how to effectively solve problems through CBT, as they are taught ways to break overwhelming tasks into smaller, more manageable steps. The Turnaround program is designed to do this in a way that is clear for children. Let’s also talk results. Research has proven that CBT’s effectiveness continues even after treatment ends. A study noted in Behaviour Research and Therapy (2013) documents a group of CBT responders who maintained their gains one year after termination of treatment. This is significant as there had only been research conducted on the short-term effectiveness of CBT in the past, and is equally as promising, as it suggests that the effects of CBT for anxiety disorders performed in a clinical setting are largely maintained one year after treatment. Research with Turnaround found it as effective as face-to-face CBT treatment. The best thing you can do for your child is to seek out this type of treatment to help you get started with a plan that is a combination of appropriate techniques, and geared to address his specific symptoms and unique needs. DiMauro, J., Domingues, J., Fernandez, G., and Tolin, D. (2013). “Long-term effectiveness of CBT for anxiety disorders in an adult outpatient clinic sample: A follow-up study.” Behaviour Research and Therapy, 51(2), 82-86. Hofmann, S., Smits, J., Asnaani, A., Gutner, C., and Otto, M. (2011). “Cognitive enhancers for anxiety disorders.” Pharmacology Biochemistry and Behavior, 99 (2), 275-284. Wagner, A. (2002). Worried No More: Help and hope for anxious children. Rochester: Lighthouse Press. Depression Versus Anxiety: How to tell the difference? For me CBT is one of the best ways to recover from anxiety. Anxiety is powered by your thoughts and the feelings they create, therefore by being able to change the way you automatically think and react to situations and triggers makes a huge difference. The hardest part of this for most seems to be understanding this well enough, having the dedication to keep it going and the time it takes to make improvements to the way you feel. We all seem to want instant results, but it just doesn’t work that way. It’s all about making the right choices and then having the discipline to follow them through and keep them going. If you do, then the changes in the way you think and feel really can reduce and even stop anxiety starting in the first place. I love when I run into a post from people who have overcome anxiety, through tools related to CBT. Sure it takes a little will-power, and sure it takes a little effort from the sufferers part. But with the effort put in to re-structure a wired-to-worry mentality, comes fantastic results. Great share. I suffered anxiety, depression lately and have no one to talk to. I listen to other people’s problem, I can’t even solve mine. What I’m worried is that when I’m really into my problems feels like i’m going crazy. I think its time for me to undergo CBT. My name is Mitchell E. Arnold and i have been a patient of Cognitive Behavioral Therapy. I am a witness of its effect on my personal life. I considering going back to college and making Cognitive Behavioral Therapy a profession. Can i get advice on what area(s) of study i should be focusing on. What type of Degree(s) i should be pursuing?